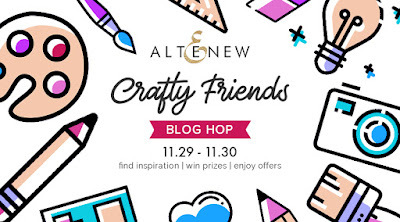 Hey everyone, welcome to Day 1 of the Crafty Friends Blog hop for Altenew. I am so excited to be a friend and fan of the amazing company Altenew. You possibly arrived here from Kristina's blog, thanks so much for stopping by and joining in on this hop! Here is the layout that I have created to share with you today. Todays layout focus' on the things I love most; gorgeous papers and embellishments and storytelling. I am a big advocate for getting my stories (however short) onto my pages. I think that is the root of my passion for scrapbooking really; documenting our everyday. I have memories of going through photos after my grandparents passed and thinking to myself; who is in those photos, what are they doing, where were they? etc. Sometimes I would be lucky enough to find a small handwritten name on the back of a photo and a year. That was like finding gold and was few and far between. I think to myself how much I would love to be able to read the stories about what things were like in those photographs of my family in the past. To me, what I am doing is special, and even if it is not appreciated by those around me now, I am sure long after I am gone and my children are older it will be. That's the hope anyway and the big drive behind why I do what I do. Can anyone else relate to this? My kiddies are growing up so quick. These photos were taken on a recent family trip away. The town we went to was having a big festival for the weekend. We went on a 'farm hop' and visited a few of the local farms in the area who opened their doors to the public on this day. This particular farm had free range chickens and produced eggs. The kids absolutely loved the baby chicks and spent so much time with them picking them up and talking to them. It was so adorable. I used the Our Family scrapbook kit available in the Altenew store to document this page. I did mix it a little with the Reflections kit too as I couldnt help but add in some of it's embellishments. The journaling for this page is not too detailed, but detailed enough that you know the who, what and where of these photos. The main feature of the page is a fussy cut floral from one of the patterned papers in the kit. I decided to only incorporate part of the design and make a feature of it on my page; nestling my photos within the florals and the journaling in the negative space. The colours within this kit were the perfect match to the colours within the photos. That can sometimes be a tough feat when you are wanting to use particular products on a layout. I used a combination of regular tape adhesive; I use the Altenew tape runner (its so quick and easy) and a foam adhesive to add a pop of dimension. I included the wood cranes in this layout, I know they are not chickens ha - but I took some crafty licence and figured there were birds so added them to a couple of places on the page. You will notice that I have three main areas of embellishments on my layout. One to the top right of the page next to the photo, one on the bottom left of the left side photo and one where the journaling is. I tend to create all layouts with this 'three' clusters rule and adding them to the layout in a way that forms a triangle. This helps to guide your eyes from one spot on the layout to another and so on, giving you a reading/viewing path on my page. Anyways enough from me, onto the amazing details of how you can join in and win! Be sure to leave comments on all the blog posts by Sunday, December 9th, 2018 for a chance to win! 37 winners will be chosen at random from the comments left on all of the blogs listed below and will be announced on the Altenew Card Blog and Altenew Scrapbook Blog on December 15th, 2018. How cool is that!!!!! You can also win a $20 gift certificate just by commenting here on my blog. I will announce a winner by 12/9/2018. Thanks so much for popping by today, you're next stop is Keeway Tsao's blog. Beautiful layout! I love the colors. Such a pretty page for a great memory! Thank you! I too am a scrapbooking fan and I agree, even the smallest detail in the what, who, where, when captures all that is required. Lovely page, thanks for sharing! What a beautiful scrapbook page! I love all of the colorful flowers! The Altenew paper is so pretty. The children are adorable too. not a fan of fussy cutting but love the way it looks when you added the leaves in and around the pictures. really pretty Altenew Paper. The kids are adorable. I am not a fan of fussy cutting but the leaves looks so pretty around the pictures. I am not a scrapbooker but I love your layouts......I sure can use some of your ideas on my cards. what a beautiful scrapbook page! This is the third time I have tried to leave a comment on your site.....should be easier. I love your layout although I am not a scrapbooker, I can use them in my card making. Love the pops of color on your layout!! First time I’ve seen your work and love what you did for your scrapbook page! It is all about story telling and preserving our memories and moments in time! I love the layout! Seems my first comment didn’t go through? In any case I love your layout and preserving family history and memories in this way is something your kids will be grateful for when grown! Nicely done! What a great page! I agree about finding old photos and then not knowing who or when or what. Scrapbooking is important and there will be lasting memories. This is such a beautiful layout! Well done! Raquel, what a wonderful scrapbook layout. Super cheerful. I thought your layout was lovely Raquel, and then I started reading and I love the way you explain why you scrapbook and your process of putting a page together. I am a card maker but I think we can all learn from each other and the three focal point rule is certainly universal. what a delightful layout - your coloring is amazing!! I love that you are also instructing the how and why of your design! That is so helpful for others starting out or reminding old timers! Thank you, it’s beautiful! 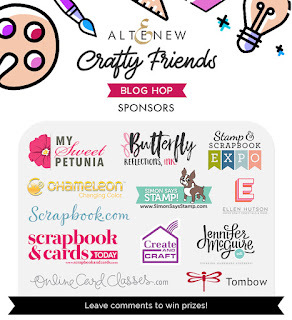 Your layout design is beautiful and the inspiration I get from you and all the others on this celebration blog hop of crafty friends is amazing. Thank you! Lovely layout!Thanks for the inspiration! What a wonderful blog hop to celebrate this great international crafty community! Your page is very lovely. The flowers are beautiful and the children are adorable 💕Merry Christmas 🎄 . I am a card maker and scrapbooker but struggle using my card making supplies like stamps and stencils on my layouts. Your examples on using the Altenew products helps motivate me to move outside my comfort zone when creating layouts! I love your layout! I only make cards but I am impressed with scrapbook layouts. I love all the details in this layout that come together so well! Thanks for the inspiration! Oh what a really cute page. Love the soft colors in the background. Beautiful page. Oh yes, total cuteness! Wow this layout is amazing. Thank you for sharing your beautiful work. What a beautiful page! The subjects in the photos are adorable! Love the page and the two cuties in the photos! I completely agree with you that scrapbooking will only be appreciated later - but the effort is worth it. I really like the child like feeling to this lay out. Your rough fussy cutting fit the child like feel. I absolutely love the colors you used. Very elegant. I absolutely love the colors you used. Very elegant! I'm not a scrapbooker, but I appreciate the time and thought that goes into lovely layouts like this one. Thank you for sharing! One of your best layouts. (one of many). I love the colors. Very nice layout and colour combinations! LOVE, LOVE this layout!!! Can't wait to try this. Beautiful designs, Thank you so much for sharing. I have photos just waiting to be put into layouts . . . yours is so beautiful it encourages me to get those photos out and start scrapbooking. I need to get back to scrapbooking. Thanks for the beautiful page and inspiration. Your layout is absolutely gorgeous! Great use of stamping for your scrapbook! Great use of stamping in scrapbooking! This is a really lovely layout. Love the fussy cutting too. What a lovely page!! I love the fun groupings of the beautiful botanicals!! Love the colors you chose for the layout! Love the colors you chose for the layout. This is TOTAL CUTENSS! What a great layout! I love the colors! beautiful layout!! I love the flowered papers you chose to fussy cut!! Brilliant colors and lovely layout! Beautiful page! Love the flow of your design! Totally cute layout. My grandkids love holding baby chicks at our farm. You are such an inspiration with your creative inspiration, Raquel! The page was sweet and the kids were adorable ! This layout is absolutely adorable; I love all your elements, the fussy cuts, the story telling. Absolutely love your composition!!! Love this layout. I have never thought of making a layout with stamps. I love the layout. I have never thought of making a layout with stamps. Beautiful!! Like you said - Total Cuteness! Thank you. I love your scrapbook page! Beautiful and your kids are cute too! Thanks for sharing! I don't scrapbook much anymore but I get what you are saying about having pictures without stories. I love how you embellish your page. Just getting started with scrapbook pages. Thank you for the inspiration. It's a beautiful page. Love your layout! It has movement and color and joyful tidings! What an amazingly beautiful layout!Love it ! Total cuteness is a perfect title for your scrapbook layout. The photos of your two adorable children are perfectly framed in your design. Thanks for sharing your time and talent with us. Fabulous page! Your kiddos are adorable!! It is wonderful to discover the stories behind those precious pictures!! Love the layout. It is so colourful! The perfect way to capture a fun, memorable day! I really enjoyed your page layout! Your fussy cutting of the background fit the kiddos just right! Thanks for sharing your techniques with us! Love your layout and background! Scrapbooking isn't for us now, it's for them later! Very cute layout. I love how your kids will look back on this and be able to recreate the memory! Beautiful scrap booking! Love the colors and soft touch. Raquel this is a fantastic layout, your littlest are adorable. Yes, you are doing an amazing thing by documenting these now. I am currently going through OLD photos of my 97 y/o MIL and my husband Aunts pics, most of which are not marked. They are awesome to look at but would be much nicer if I didn't need to be like a detective to learn who all of these people were. LOL However, I am looking at it as a good winter project. Total cuteness is right! Your kiddos are adorable and your page is lovely! Beautiful layout. Thanks for sharing with us. The kids favor each other - might be twins? Thank you so much for posting this. I am new to card making and have found that a lot of the cards start to seem the same. This is such a personal and fun way to craft! Great work! SWEET!!! Love the layout and your kids are adorable! TFS--have a blessed day. Beautiful layout! Thanks for the reminder about the triangle rule of thumb....I always seem to forget that. TFS! Such a sweet layout! I love the fussy cutting of the florals! How gorgeous is this layout?!! Thank you for being part of the blog hop! Total Cuteness - what an apt name for this adorable scrapbook page. Thanks for sharing! Total cuteness, for sure. Lovely. This is a really pretty design and layout! These kids totally are TOTAL CUTENESS! Adorable! Beautiful layout and I love how fresh it looks - beautiful detail, but nothing overwhelming the focals. Very cute layout!! Great inspiration! This is so lovely! And thanks for the tip on clustering in threes! Your layout is beautiful and your children are adorable! Love what you've done with these wonderful products. Beautiful layout, I love the visual triangle rule, and your photo stays the focus of the page. What a beautiful layout and stunning floral arrangement. Beautiful layout. I love the incorporation at colors. Very pretty! Love the inspiration. This layout is beautiful! I love the colors! What a pretty layout...love the watercoloured look. Hi Raquel. Love your gorgeous layout and the way your flowers frame those two sweet kidlets. Two of my Great Grands are around this age and I would love to "scraplift" your idea if you don't mind. I don't have the same stamps, but I could use what I have and hopefully still get a similar lovely layout. Thanks so much for sharing. I've been hooked on card making for about 3 years now, so my scrapbooking has fallen even further behind!!!!!! At least 3 Christmas days as well as all the birthdays and other occasions. Oh Boy! Bev from Sydney. thank you for sharing your lovely scrapbook page of your darling children - beautifully done!! What a lovely page memorializing such a lovely weekend! Love the design and cute photos of your children! What a beautiful layout! The colors are so pretty and compliment the photos nicely. It looks like you had a fun day and the kids really enjoyed the little chicks (I know I would). Enjoying the Crafty Friends blog hop! So many fabulous creations! Awesome details and color combo on your beautiful layout! Lovely layout. This is why I scrapbook too. I love to record the stories and activities of daily life as well as the special occasions. Such a pretty design.. amazing with lovely details. Your layout is beautiful! Your pictures look great against the florals. You have adorable children! I agree about the importance of story telling. 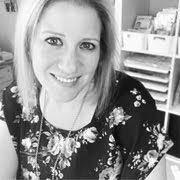 My husband just doesn't get it and thinks scrapbooking is a waste of time, but as I get older and my memories go it will be nice to be able to look back and see the memories come to life. Very sweet. Well design and nice colors. These are so different and so beautiful! You are right Total Cuteness!! I love this idea of going to different sites this is brilliant. By the way Merry Christmas. What an adorable layout! You have some serious scrapbooking skills! Thanks for sharing this. Thank you for the lovely inspiration. Great page of memories. Super sweet layout page of your precious kiddos! Totally in love with this layout. Thank you so much for inspiring us! What a lovely layout - I love your colour choices, and the pictures (and of course the kiddos in them) are so sweet! I am useless with Layouts, so thanks for the inspiration! beautiful layout capturing the moment! thank you for sharing. I completely agree that having a little context on photos, especially older ones, is hitting a gold mine. Speaking of gold mines: having colors in a paper pack that match your photos perfectly? That's triple cherries right there. This whole layout is beautiful, and I'm sure that there will be many who appreciate all your efforts to collect family memories. I LOVE your layout!! Your children are adorable and of course they make it all wonderful! I love the colors in the paper you used and the way you did a quick note about the day. I agree with you in that I wish all pictures had more detail explaining who, what, when,and where. I love family pictures and your layout was just beautiful! Simply darling! Love seeing scrapbook layouts! I can only confirm it Raquel, Total Cuteness. The story is told on a great way with this awesome page. Thank you so much for sharing. 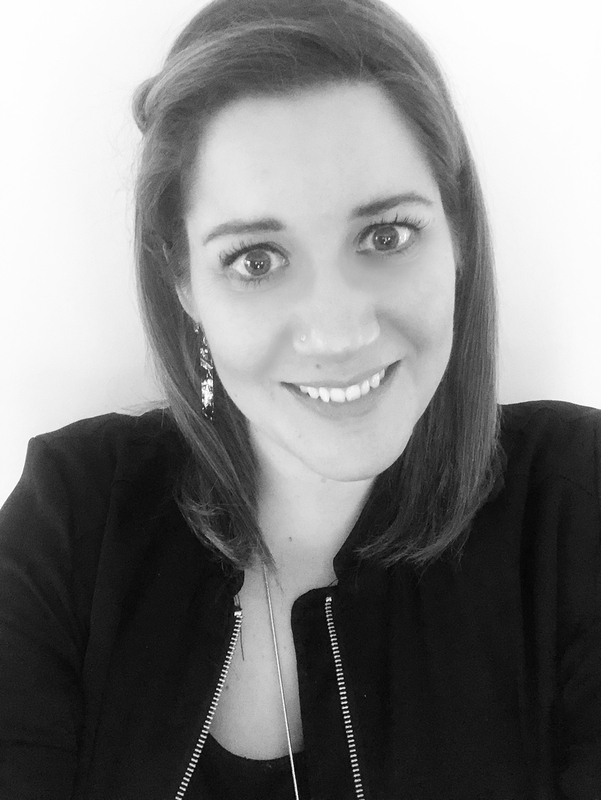 Hi Raquel :) Your layout is captivating along with the smiles of your children. What a great mom you are :) Thanks for inspiring us!!! Absolutely love this layout! Thank you for sharing. This is a beautiful layout.